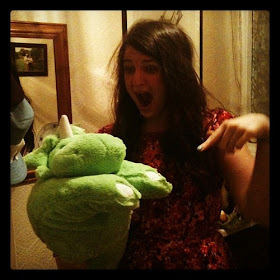 t*rexes and tiaras: Blog Hop: My writing process.. 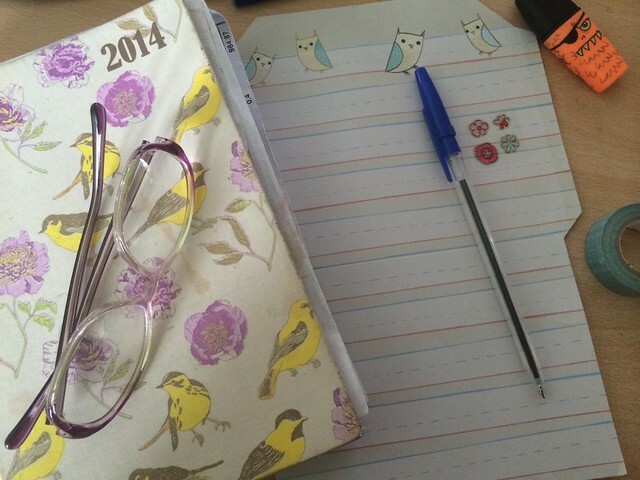 Earlier in the week, I was tagged by Louise in her blog hop post about her writing process. I'd like to start by saying that I do not consider myself a "proper" blogger. As mentioned in this post, I don't aspire to be a full-time or professional blogger, ever, and my blog is a hobby which I write predominantly for my own enjoyment. But, nevertheless, I am happy to answer all of Louise's questions about my blog and how I come to write it. At the moment, my draft posts are to do with my #bloggerbookswap - for when people are paired up (there's still time to get in on that one, if you'd like) and an upcoming book tour I'm taking part in. I do try to open a draft post for anything I plan to post on a particular date, as I find it helps me to remember. I don't think that my blog is a lot different than many others in my "genre". I suppose the only thing which makes me different, maybe, is that I write about the things I want to, when I want to. I don't ever feel pressured to jump on a bandwagon and have never been interested in blogger awards or anything like that. If I like something, I'll say so. And if I don't? Well, I'll tell you that as well. I've read so many posts lately where people have been so transparent with their writing - one minute they'll dislike a product, then they're sent a free sample and talk about the brand as though the sun shines out of it. That will never be me. I guess when I started, I wanted an outlet for my thoughts. I started this blog partly to have somewhere to park my thoughts and my emotions at a time when I was emotionally at my lowest and trying hard to find a way to battle with my illness. I don't think I've actually ever really done that, but I've used this blog as a place to write about and document other things. I write about clothes, bought bought and handmade, because I love clothes. 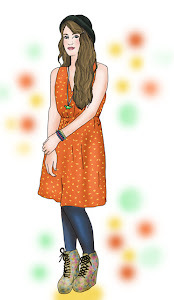 I like shopping for clothes, coming up with my own designs and making my own. I've always liked putting outfits together for myself and others and when I started my blog, taking outfit pictures seemed to be a good way to document the outfits I'd put together. Since then, I write more about shoes - both new and old - and I create wishlist posts to draw attention to the things I've found and liked that week. A lot of my shoe posts have been documenting my #irregularchoicechallenge which is ongoing. More recently, I've talked more about my involvement with Girlguiding, as well as books, my fitness goals and the progress (ha) I'm making with my allotment. All of these things are a part of my life and I guess my blog has become a little bit of everything. As for my writing process? Well, I don't have a set in stone process which I follow. Not at all. I'll generally have a list in my head of the posts I want to write over the week. I note down in my diary on each day if I have anything which needs to be posted on a specific day and cross that day off when the post is done. My diary is from Tesco this year and I'd be absolutely lost without it! Sometimes I'll have new clothes, or shoes or an outfit in mind which I want to post about, so I'll upload my photos (I wouldn't know how to edit a photo if you asked me to!) and write about whatever I'm wearing. If I've taken photos of somewhere I've been to, I try to make sure that I post them fairly soon afterwards. I'm not sure why, I guess I just like to write about them when the memories are fresh. Sometimes I'll think of an idea for a post to write in the future, which is what happened with my Just because... post, and I'll make a note of my ideas either in my diary or on a post-it note. I have to admit, my life is kind of held together with post-it notes and to-do lists. Most of my posts, though, are fairly spontaneous. I'll generally post my outfit photos a couple of days after wearing the outfit, at the latest. If it's not a gym-before-work morning, it's more likely to be that I'll take photos before work and post them that day. My outfit posts are always a true reflection of the things I wear, mostly because I'm a blogger, not a model. I don't dress up and do "shoots" just for the sake of my blog, because where would I find the time for that?! So, now it's your turn. Tell me about your writing process, and keep the blog hop going. 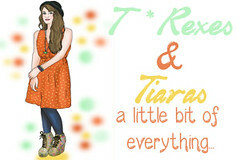 I'm nominating Rosie, Kel and Gems to take part in the blog hop (if they'd like to!) as I'd love to know the secrets behind their posts. Thanks so much for your comment, lovely. I can't wait to read your answers. I had been a little bit concerned, to begin with, about branching out into different types of posts (books, guides stuff etc) but I figured that, just like that time when I considered trying to have a separate Twitter account for my friends and for my blog, that it's all a part of me and therefore all fits in together. Hahaha, I'm not sure if that's a good thing or not! But yes, it's just me. Thanks, Louise. I don't write about some topics at all (relationships and work are off-limits and never get a mention) but other than that, I try to show the real me through my posts. If I have a depressed spell, it's more than likely it'll be reflected in my blog posts. If I like something, I'll sat so. I'd never want to sell out for the sake of keeping other people happy, or my ratings up, which sadly seems to be what so many other bloggers have done.